Hey there! We are back from our cruise! We had an incredible time and I will be sharing all about it hopefully later this week. While I was gone, Shannon from Education.com contacted me about sharing one of their kids’ learning activities on my site. This is a fun little phonics activity to do with your child on a rainy day! By the age of four, most children are able to recite the alphabet. This is always so exciting to watch—but parents, beware. There’s crucial work ahead as kids learn to connect all those letters with their sounds. You can expect lots of work in school, but don’t hesitate to help at home, too. Here’s an activity that you can do on a rainy afternoon when everywhere you look outside you are sure to spot a caterpillar or two. 1. Begin this activity either by reading one of the many books about caterpillars or by taking a field trip outside, particularly in the spring, on a scavenger hunt for caterpillars. Children love to observe and play with these fuzzy little creatures. You may even want to talk to them or read a story about how the caterpillar will in a short time become a beautiful butterfly. 2. Next, return inside to begin making your very own caterpillar. Discuss how the word caterpillar begins with a “kuh” sound and ask if he remembers what letter in the alphabet makes that “kuh” sound. He may at first mention the letter K. You may need to remind him that while that’s correct, the letter K has a “twin” that sometimes makes the same sound, the letter C. Tell your child that today you are going to make a drawing that will help him remember that sometimes the letter C can make a “kuh” sound as well. 3. Depending on your child’s skill level with scissors, either cut for him or trace and have him cut 3-4 large letter C’s onto different colored construction paper. 4. Either write for him or have him write “C is for Caterpillar” at the top of the large light colored construction paper. 5. 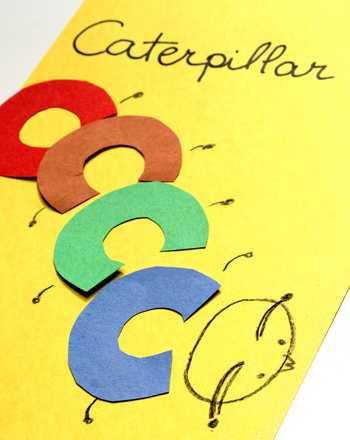 Have him glue the letter C cutouts to form a curvy line and make the body of a caterpillar. 6. Have him add to his “C” caterpillar a head with antennae legs and feet using crayons. 7. Encourage him to add a background as well to his picture, such as sun, grass, trees, etc. This fun and simple project will serve as a reminder to your child that the letter C also makes a “kuh” sound. He will think about this activity for the months and years to come as he continues to strengthen those phonemic awareness skills by sounding out words and reading. 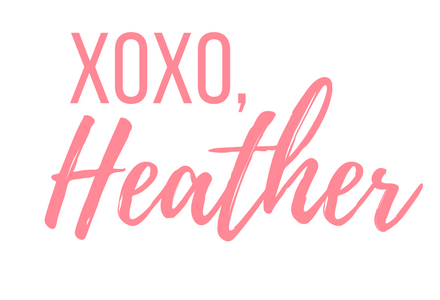 I wanted to say thank you to Shannon for sharing this activity with me and allowing me to pass it along to my readers! I can’t wait to do this activity my girls. Head to https://www.education.com/resources/kindergarten for more fun, educational games and activities for young children.